An art catalogue in the archives of VBKÖ from 1930 poses the question „Wie sieht die Frau?“ Men and women of the time respond from their perspective. 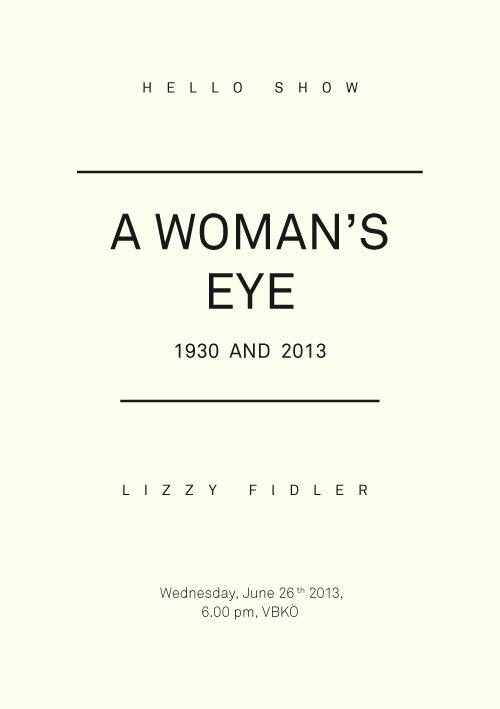 In her HELLO SHOW Lizzy Fidler asks the same question of her own contemporaries. Her project will be shown alongside her other artwork at the VBKÖ, Maysedergasse 2/4, 1010 Vienna, from 26th to 29th June 2013.